If you elect our 90-day supply Autoship Program, you will be charged $9.95 S&P for every 90-day supply plus $49.95 every 30 days for the first 90-Day supply. 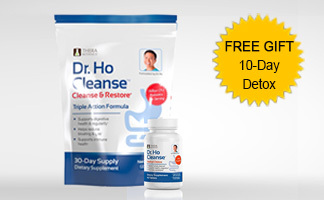 Then, automatically every 90 days, we will lock in your savings and send you a fresh 90-day supply of Dr. Ho Cleanse. Each shipment will be charged to the card you provide today at the low price of $9.95 S&P plus $49.95 every 30 days. You can customize or cancel at any time by calling 1-800-218-7534. Contains: 90% Soluble Fibest™ Fiber to help your body absorb nutrients, stay regular and feel fuller longer; Magnesium to work on the cellular level to attract water to the intestine to lubricate the intestines and move waste through the bowels; And our probiotic helps to bring balance back into your gut protecting your immunities. It's a gentle and stimulant-free daily cleanse, so you will be going to the bathroom regularly, but not running to the bathroom. 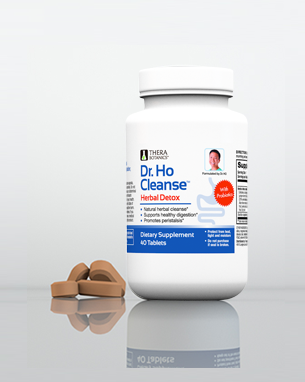 Suggested Use: Take 1 Scoop of Dr. Ho Cleanse & Restore and Mix with Water or your favorite juice, ideally in the morning. These capsules contain a complex of 16 herbal ingredients that will help you jump start your cleanse by gently pushing waste out of the colon. 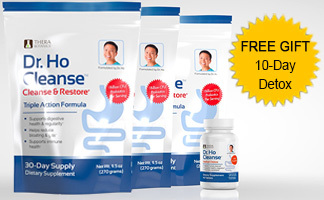 This works beautifully with your Dr. Ho Cleanse and Restore powder and many customers like to do a jump start a few times a year so you'll want to take advantage. All you do is take 2 Herbal Detox Supplements once or twice a day - depending on the speed of your digestive tract! U.S.A. (Canadian customers click here). I would like to join your exclusive email list for special offers, health advice, and product updates. ©Copyright 2019 Therabotanics Supplements, LLC - All Rights Reserved.